On the other hand, courts love arbitration agreements because it makes their lives easier, one less case for them to worry about. Courts will bend over backwards to validate an arbitration provision even if it is challenged by a client. I used to be a fan of arbitration, with an emphasis on the words “used to”. As one State Bar committee aptly put it: “An arbitration provision is generally not included in a fee agreement to benefit the client; it is included to benefit the lawyer.”* Think about it: a lawyer could leave the decision to arbitrate up to a client, but, instead, many lawyers at least attempt to slip in a binding arbitration clause assuming (correctly in most cases) a new client will say nothing about it. At first glance, arbitrating a legal malpractice dispute seems to make sense. Legal malpractice litigation often takes years. Arbitration is supposed to be much quicker, easier, and less expensive when compared to litigation. But the reality is much more complicated…. While this post only touches on some of the issues to consider, the first question is: why are you arbitrating at all? Is it because you want to arbitrate or because your retainer agreement with your attorney requires it? Keep in mind that most often when you sign a retainer agreement with an attorney, it is usually an automatic thing. Even if you are a sophisticated business person, negotiating the specific terms of a retainer agreement is rare. If there is any discussion at all about the retainer agreement (which is, after all, a legally binding contract), clients almost always rely on the attorney’s advice. You may learn years later that you have to arbitrate, only after a dispute with your attorney arises. 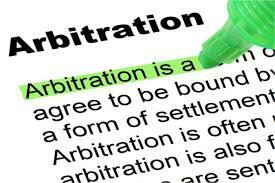 But there are often problems with arbitration clauses in retainer agreements. Does the retainer alert you to some of what you are giving up when you arbitrate? While there are many different arbitration organizations with different rules, generally, when you arbitrate, you give up your right to discovery, to a jury trial, and your right to appeal. For example, if there is information that you would normally get during discovery in a legal malpractice case, you may not be able to get this important information in an arbitration. While limiting discovery can save money, it is not cost-effective if it prevents you from getting crucial documents or testimony. If the arbitrator makes even an obvious and clear mistake of law in the final decision, there generally is no recourse. Unless there was fraud, the arbitrator’s decision is almost always final, even bad decisions. In fact, unless the arbitration provision specifically mandates it, you will not necessarily even get a written explanation of the decision from the arbitrator. It usually is thumbs up or down. As for arbitration being less expensive, that depends. Regular judges receive a salary from the court. You could have a two-month trial and the judge’s salary is being paid by the state or federal government. In contrast, arbitrators are paid directly by the parties. Most arbitrators are attorneys. Sometimes arbitrators are retired judges. Either way, arbitrators almost always get paid by the hour (and the hour and the hour and the hour….) at least at the going rates for expensive attorneys in your area. For example, in New York, some arbitrators charge more than $1000 per hour. Hourly fees in the $600-$800 range are not uncommon. Connecticut arbitrators generally charge in the $400-$800 per hour, perhaps more. If the issue being presented to the arbitrator is simple, this might not be a big deal, but in this post, I am talking about arbitrating a legal malpractice. Legal malpractice cases are by definition complicated because you not only have to prove there was negligence, but that you suffered damages as a result of that negligence. That usually means you have to prove the outcome of the underlying matter (the one that you hired the original attorney for) would have ended favorably but for the malpractice. Legal malpractice trials can sometimes many weeks. Every minute of that, plus all the outside work that has to be done by the arbitrator will likely be paid for by you and the other side (depending on the terms of the arbitration agreement). Well, that is not exactly accurate. Most (but not all) lawyers and law firms have legal malpractice insurance. It is likely that the attorney’s legal fees and arbitration fees will actually be paid for by the insurance company, which are most often multimillion or multibillion dollar companies, who can afford it. Unfortunately, as far as I know, there is no insurance available that clients can buy to cover losses for a negligent attorney (although it is not a bad idea, somewhat like trip protection insurance). Advantage: lawyers. To make matters worse, many states do not permit clients to recover the cost of the legal malpractice action. So, for example, imagine there is a case where an attorney’s negligence resulted in $100,000 of losses for the client. Imagine there is a legal malpractice action where the client prevails and is awarded $100,000. But if the client spent $25,000 in hourly or contingency fees, the client would only be netting $75,000, having to pay the attorney the other $25,000. Under normal circumstances, courts are supposed to make clients whole, that is, if they win, they should be in at least as good a position as they would have been if the negligence did not take place. In some states this is simply not how it works when it comes to damages and legal malpractice cases. In other words, clients will be paying but most attorneys with insurance will not, even if they have been negligent. Advantage: attorneys. Therefore, the potential extra expenses of paying arbitrator or something to think about before agreeing to an arbitration provision. If you are going against a large law firm you have another problem: chances are this large law firm often is involved in arbitrations representing clients. The more arbitrations a particular arbitrator or arbitration organization gets from a particular law firm, the more money the arbitrators make. Hopefully a potential arbitrator will alert you to this. That happened in one of my cases where the potential arbitrator disclosed that she regularly oversaw arbitrations with one of the law firms in my case and declined to participate in an arbitration where the law firm was a defendants. That was the ethical thing to do, and most arbitrators are ethical. There are many other factors as well but in my view, the playing field is not even when you go up against an attorney and arbitration because you are giving up important rights and particularly for legal malpractice actions may actually end up spending more money than you would in litigation. In at least one state, New York, a client has the option of arbitrating or not, at least if there is a fee dispute. That decision does not have to be made until such time as there is a fee dispute. A fair provision in an attorney retainer agreement would leave the choice up to the client. But since arbitration clauses are rarely included as a favor to clients, it is unlikely your attorney will offer such a provision (though you could certainly request it as part of negotiating the retainer agreement). If your attorney insists on a mandatory arbitration clause, that is at least a strong hint that the attorney believes it is advantageous to arbitrate rather than litigate. That is not to say that litigation is necessarily the best option for you. There is a long list of problems with the litigation process. 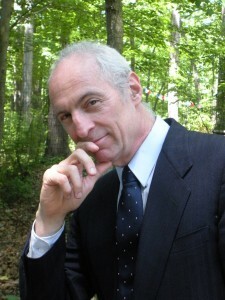 However, despite all disadvantages, litigation, arbitration, or informal negotiation is how we resolve legal disputes. In reality, most litigants ultimately choose to negotiate at some point, sometimes even in the middle of a trial. Only a very small percentage of cases end up with a verdict. The underlying issue is whether the attorney who asks you to sign a retainer agreement includes an arbitration provision presents you a fair written summary of the pluses and minuses of arbitration, so you can decide whether it is right for your best interests. **State Bar of Michigan R-23 (July 22, 2016).